Drop your baggage. Boil things down to their essence. Boil things down to their essence. It’s amazing how relieved you feel when you drop your baggage. The good ole K.I.S.S. principle, “Keep It Simple, Stupid!” is what’s called for. We tend to gunk things up with too much stuff, too many ideas, excess emotional residue. Perfectionism makes us want to overwork things. Resentment and criticism keep us focused on the past and on others. Ram Dass had it right with the slogan “Be Here Now.” Now is the only time we can actually do anything. The past is done and the future is around the corner. Here is the only place we can be. Elsewhere is just in our mind. Drop it all and let yourself fly. Where we’re headed in the end, there’s not a whole lot you can bring with you! 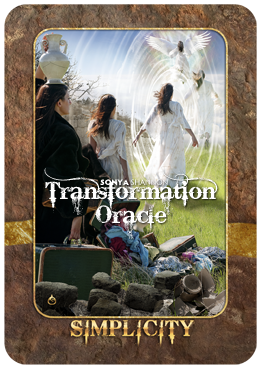 If this card is reversed, you may be holding onto excess weight, clutter, or stale feelings. Check the other cards in your spread or draw a fresh card for hints about how to let things go.